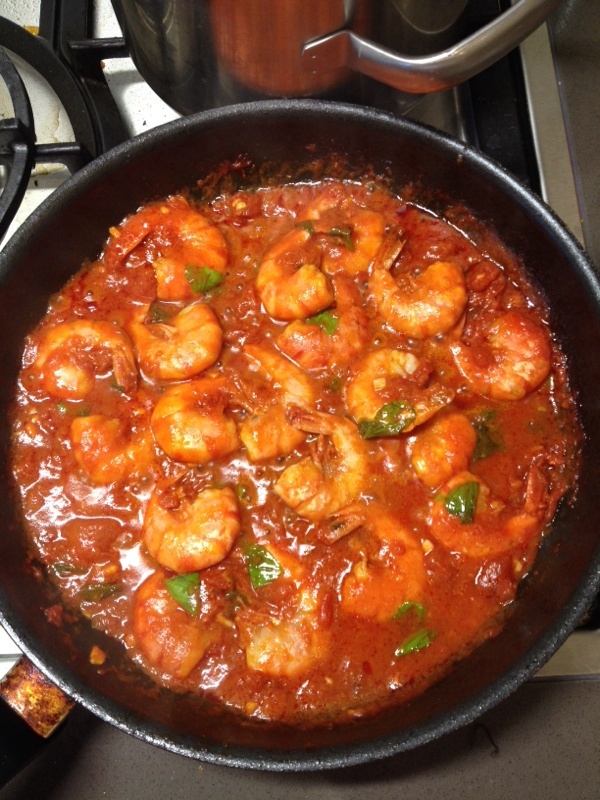 Today I mad dinner , we had some shrimps ( scampi) pasta with tomato . I chopped the garlic and the chili then I put oliveoil and chili into a pan and let it sit just for a few minutes then put the shrimp(scampis) . And cook them carefully then pour the tomato sauce in to the pan and wash the tomato box or glas bottle and pour it with the shrimp and the tomatos . It doesn't matter if you put water cause in the end all the water till have steamed of , you can add some tomato pure if you want it's up 2 you :) . Then add some basil if you want I just cut them fast and then added them . Thenchoose your pasta and cook you pasta and your done 😍😋.